Obituary for Gordon Edward Small | Kenworthy Funeral Home, Inc.
Gordon Edward Small, 75, of McSherrystown, PA, entered God’s eternal care, Wednesday, March 27, 2019 at the Gettysburg Hospital with his loving family by his side. Born June 9, 1944 in Hanover, PA he was the son of the late Francis W. Small and Lorena G. (Zartman) Small Sentz. Gordon was the loving husband of Debra J. (Trimmer) Small with whom he shared 43 years of marriage. 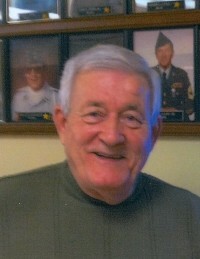 Gordon was a 1962 graduate of Eichelberger High School. 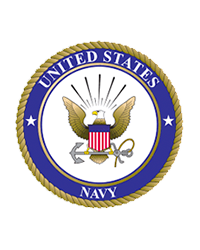 He was a veteran of the United States Navy having served his country proudly from May 31, 1962 to January 4, 1965. Gordon retried from Utz Quality Foods, Inc. after 27 years of service as a manger. Gordon was a member of The AMVETYS Post 22, the Hanover VFW Post 2506, the Harold H. Bair Post 14 American Legion, the Hanover Home Association and the McSherrystown Moose Lodge 720. Gordon enjoyed camping, fishing, treasure hunting and spending time with his family. In addition to his loving wife, Debra, Gordon is survived by his children, Michael B. Conrad of Hanover, PA and Angela M. Kohler of East Berlin, PA, 6 grandchildren: Amanda L. Jackson, Brady C. Thayer, Josh M. Thayer, Shane M. Thayer, Sophie A. Conrad, and Bryce M. Welty, 2 great grandchildren; Payton M. Jackson and Olivia D. Jackson, and two brothers; Larry B. Small of Spring Grove, PA and Robert J. Small of Lakeville, MA. He was preceded in death by a sister; Jean F. Zinn.